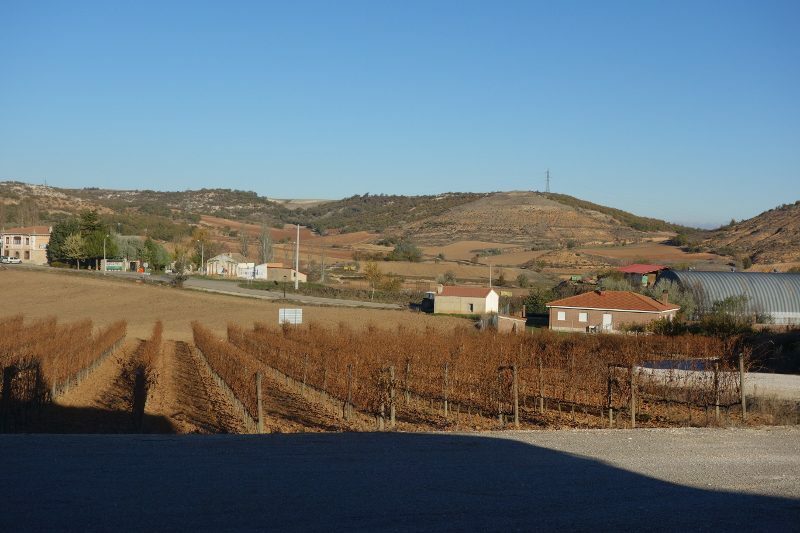 Back in the 1980s, before the region of Ribera del Duero became what it is known as today, Jose Manuel Vizcarra pioneered the land and planted new vineyards. 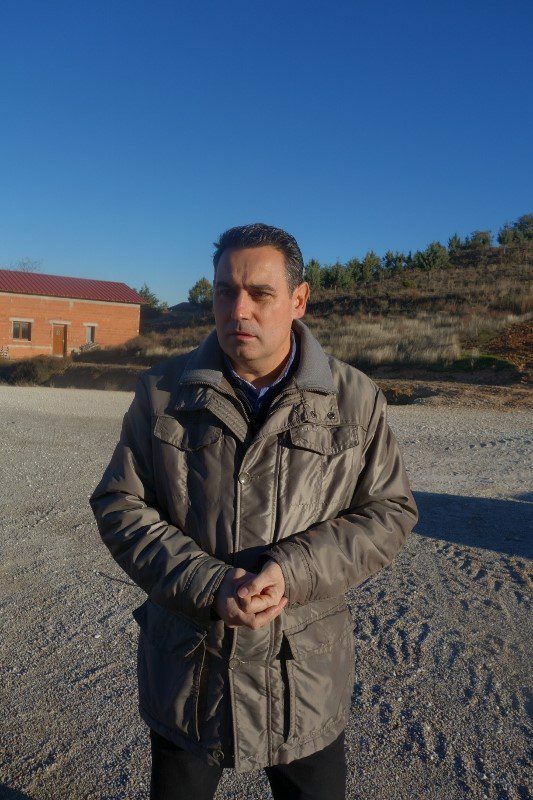 In 1991, Juan Carlos Vizcarra followed in his fathers’ footsteps and keeps the tradition alive today. In 2007, the company expanded and moved into what is now their current location in Burgos, near the border of Valladolid. An ideal location for growing, they are located at one of the highest points in the region (at 800 meters high) and do not suffer from frost due to surrounding mountains. At Vizcarra, quality is key, and they ensure this through taking a more concentrated and gentle approach to their grape handling. Vizcarra hand selects each grape for each wine, ensuring all agriculture is fully organic, and then uses whole grape fermentation process.Rather than the process of punching down, they take a more timely and costly process of gathering juice from the bottom and redistributing over the top of the containers. This helps to maintain no contamination or oxidation throughout the bottling process. The winery uses a gravity fed process in order to produce soft tannins and a more elegant wine. 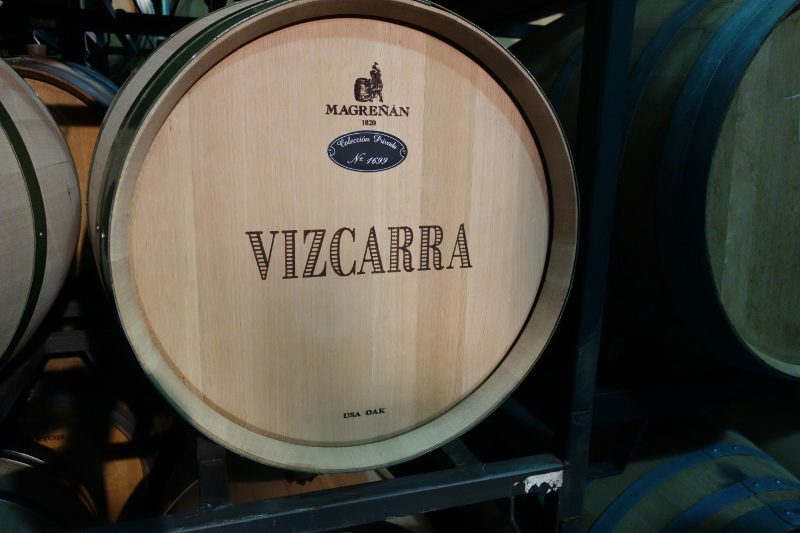 Vizcarra 2012 Senda del Oro Roble – Planted by Juan Carlos, these vines are younger and the wine is aged 6 months in American Oak (75%) and French Oak barrels. A youthful wine with a dense purple color, there are notes of black currant, blackberry and licorice. Vizcarra 2011 Cosecha – From vines that are 25-30 years old and were planted by Jose Manuel Vizcarra himself, this wine was aged for 15 months in American Oak (60%) and French Oak (40%) barrels. A cherry color, the wine has intense aromas of ripe red and black fruits and spices. Vizcarra also produces three single vineyard wines. All three wines come from vines that are 55-60 years old and are aged in 100% new barrels, of which are 90% French Oak. The wines are then aged for 18 months. Vizcarra 2010 Torralvo (100% Tempranillo) – This wine is the maximum expression of Tempranillo with dark fruit aromas and good tannins. Vizcarra 2010 Celia (93% Tempranilla, 7% Garnacha) – An elegant, feminine wine that is powerful but velvetly with subtle tannins, the Garnacha adds a floral note to the nose. Vizcarra 2010 Ines (90% Tempranillo, 10% Merlot) – From grapes planted in chalky soils, this wine is a softer more feminine wine that has notes of ripe fruit and is fresh, bright and powerful on the palate. A fun fact about Vizcarra: the vintage is always printed on the cork! 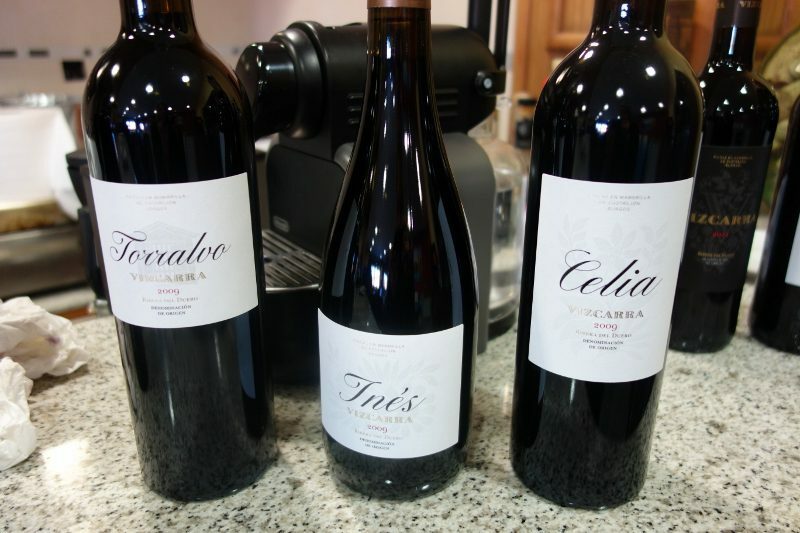 This entry was posted in Wine and tagged Drink Ribera, Drink Spain, Jose Manuel Vizcarra, Juan Carlos Vizcarra, Ribera del Duero, Tempranillo, Vizcarra, Vizcarra 2010 Celia, Vizcarra 2010 Ines, Vizcarra 2010 Torralvo, Vizcarra 2011 Cosecha, Vizcarra 2012 Senda del Oro Roble, Wine by Allison Levine.